The future of Internet is in the emerging markets with the boom of mobile internet in Africa, Asia and Latin America. More than markets, these countries are full of resources who create the best products to fit their own needs. Samir travelled for six months in ten countries in Africa to meet all the major startups ecosystems. Arnaud travelled to the Indian silicon valley to work in IT and to build bridges between western and Asian startups. They were travelers and immigrants like the world is full of now. Mobility is not only a question of a device in your pocket that open doors to the world, it is also about the diaspora that can help our own communities. 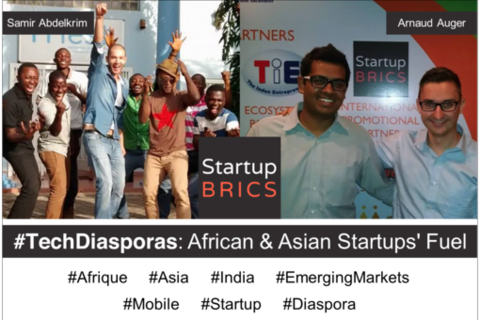 Sami and Arnaud found that diaspora was the fuel for many of African and Asian startups. Lacking local investors, African startups can be helped by the African communities worldwide. Indian entrepreneurs in the US silicon valley leverage their expertise to develop projects in the land of their fathers.